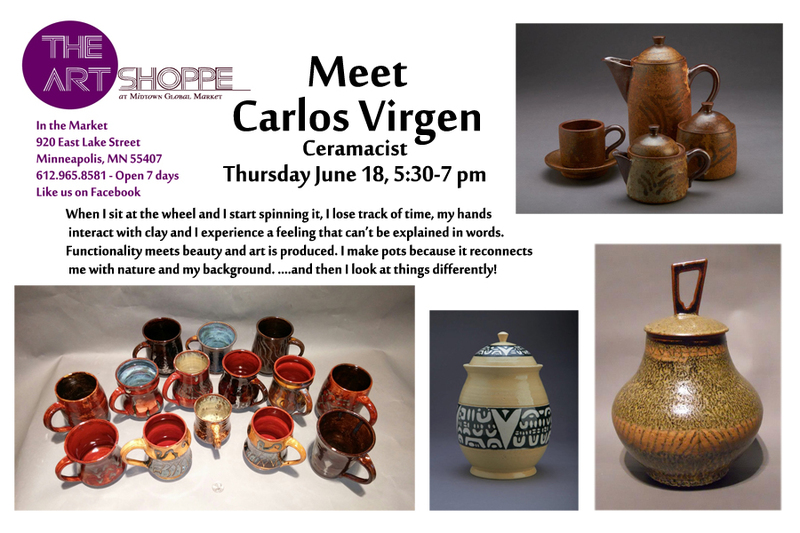 Carlos Virgen will be at the Art Shoppe on June 18 from 5:30-7. Meet him. Learn about his art, his travels and his art process.